The purpose of project management is to help you foresee the risks and challenges that could derail the completion of a project. It applies proven methodologies and uses current software tools so you can plan, control, and monitor people, processes, and other components needed to make your project a success. Project management helps organizations approach projects in measurable and distinct stages the better to meet deadlines, expectations, and budget and with the least risk and number of issues. Project management is a set of knowledge, practices, techniques, and tools aimed at delivering project goals in a timely and predictable manner, making you better prepared if ever problems crop up. 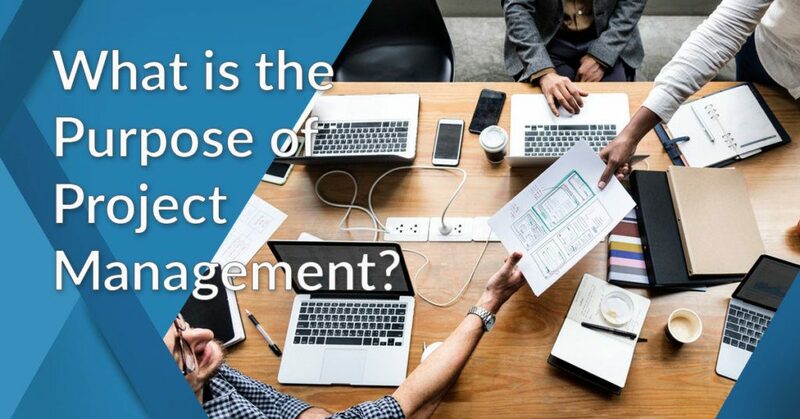 This article will delve on the many aspects of project management to make you well aware of what it is, its intent, advantages, uses, composition, trends, possible issues, and more. For a better understanding and for a more logical flow, we’ve presented this in a Q&A format. It is our hope that you will benefit from having a deeper appreciation and greater knowledge on what project management is all about and what it can do for you, your team, and your organization. Below, you’ll find the answers to commonly asked questions on project management. Why Should You Use Project Management Systems and Tools? How Does Software Tools Optimize Project Management? Who Should Lead the Way in Implementing Project Management? How Should I Implement a Project Management System? How To Efficiently Roll out Project Management Systems? What Are Potential Project Management Problems? How To Choose The Best Project Management Software? What Are the Latest Trends in Project Management? What Are Examples of Project Management Software Solutions? Is Project Management Software for You? 1. What Is the Purpose of Project Management? Project management is intended to help you anticipate and understand potential issues and problems and, armed with the necessary information and knowledge, prepare, organize, plan, and coordinate activities so you can complete and successfully deliver the project. Risk is always a lingering variable which can be difficult to precisely predict especially for large, complex projects. But you can be forewarned and take pre-emptive mitigating actions through proper planning and preparation, applying best practices, and utilizing project management tools. It is temporary – it has a defined timeline from start to completion, and defined scope and resources. It is unique – it is not a routine activity, but a specific set of defined operations meant to achieve an objective. On the above premise, project management is, therefore, the application to project activities of certain skills, knowledge, techniques, tools, and experience to meet the requirements of a project. As distinguished from “management” which is an ongoing process, project management works on a certain time span and has a final deliverable. 3. What Are the Benefits of Project Management? 4. Why Should You Use Project Management Systems and Tools? 5. How Does Software Tools Optimize Project Management? There are several popular project management tools available often with specific functions to address particular project management requirements such as time tracking, Gantt charts, and visual timelines, budgeting, team reporting, calendar and to-do lists, scheduling and milestones, file sharing, document management, and more. Other project management platforms are complete end-to-end solutions with an array of tools to handle common project management functions. These tools are built to streamline complex processes, automate workflows and repetitive tasks, provide valuable metrics and insightful reports, support instant communication regardless of device, store and organize documents online, track billable work hours, monitor resources and assets, and offer a collaborative workspace. Backend and front end, project management software does the heavy lifting so you can focus on leading your team and delivering the project. 6. Who Should Lead the Way in Implementing Project Management? Projects are implemented by organizations because of the need for change which can be caused by different factors such as to improve overall performance, enhance innovation, reduce costs, increase customer engagement, keep up with the current business environment, or to pursue strategic business direction. Whatever the reason, projects emanate from the very top. The one that spearheads project management for the benefit of the organization is top management itself. Key decision makers, which are normally from the upper echelons of the organization, green light projects based on information and inputs from inside and outside the organization. Even if the project is for an external client, the head of the organization (be it construction, manufacturing, production company, etc.) is the one who gives the order. The point man when it comes to implementation is the project manager. The role has many titles – project leader, project director, project administrator – but the general responsibility remains the same: assess the challenges and deliver within the timeframe. The methodologies, best practices, and stages in the project management cycle will now be followed through from concept to completion by the project manager. Management initiates while the project manager implements. 7. How Should I Implement a Project Management System? Get the right product. It must be a project management software and not a task management tool. The latter will be functionally limiting while a complete PM solution will give you a wide range of functions and features for collaboration, tracking work time and resources, scheduling, planning, budgeting, monitoring, assessing risks, as well as automating and managing tasks, among others. Know your business process. Your business or organization’s processes will dictate the software product that you will use. You should know the operational processes and activities of your company so you can get the matching software that will guide you when you go about working on projects. Projects are done in increments and stages, much like the agile approach, and those stages are accomplished through set tasks and processes. Your PM should be able to help you get those processes done accurately, efficiently, and quickly. Get the right people. Implementing a project management system requires people with the right skills and competencies. You have options for this – you can train internal staff to handle the system or you can outsource remote workers who possess the proper skillset. The important thing is to complement not only products with processes but also products with people. 8. How To Efficiently Roll out Project Management Systems? Again we tackle this from the perspective of change. Introducing technology solutions to an organization like a project management system, especially if it’s for the first time, can be disruptive and can face resistance. Below are tips for a smooth and efficient roll out. Successful roll-outs do not happen overnight. It may take time and you may have to be consistent and persistent. You’ll realize the returns once you have people and management on your side, and the project management solution starts doing its magic. 9. What Are Potential Project Management Problems? Undefined goals. A project cannot even be started without clear, identified goals. Those are your blueprints without which you’ll be lost even before you begin. Poor communication. A breakdown in communication with all those involved in a project is the top reason why projects fail according to one study. Lines of communication should be clear and open. It’s crucial that a project manager has excellent communication skills to connect everyone. Scope changes. There is always the possibility that clients or supervisors may ask for changes to a project. A project manager needs to be able to evaluate said changes carefully and back up his decisions. Inadequate tools. A project manager should be knowledgeable of the tools of the trade. The traditional ruler and pencil have been supplanted by computers and software, and there are even specialized PM tools and platforms now for specific projects. Project managers need to have a grasp of these. Lack of accountability. Everyone involved must know their part and responsibility in the completion of the project. Understanding their roles must be properly instilled by the project manager to avoid blaming and finger-pointing when issues arise. Improper risk handling. It’s a reality that projects sometimes don’t go according to plan. There must always be a contingency measure and proper risk management procedures when such things happen. 10. How To Choose The Best Project Management Software? There may be other features unique to your business or organization’s needs. Do factor those in and try to contact the vendor to know if they have any particular features that you are looking for. Even if the product or service can be canceled anytime, it would be a waste of time and effort if what you chose does not work out and you have to get another system and roll it out again. Hence, it’s important that right from the start you make the right choice. 11. What Are the Latest Trends in Project Management? Remote teams and virtual workers will become mainstream. The Internet-connected everyone and reshaped the workplace. People don’t need to go to the office and companies need not hire office staff to accomplish projects. Under the direction of an able project manager, projects can be worked on and delivered by remote teams from around the world. The demand for virtual workers has spawned job marketplaces such as Upwork and Freelancer.com. Irregular schedules are on the upswing. A result of having telecommuters and remote teams, collaboration tools, and mobile apps effectively got rid of the 9 to 5 schedule. Now, managers and staff can stay connected, access their files and documents, and work anytime from anywhere and even on the go. BYOD poses challenges. One setback to having remote workers is making use of “Bring Your Own Device” – laptops, tablets, and smartphones for work purposes. With different systems and platforms, poses new challenges to project managers who have to ensure the software used by team members is suitable for the tasks and the project. There is also the issues on security and new processes that may not match the device or its operating system. Automation will become integral to PM. Automation is becoming a standard in project management especially with the tools that are used for creating forms and documents, visualizing timelines and reports, analyzing data and organizing information, scheduling tasks, and preparing proposals and budgets. AI and machine learning are increasingly being applied to automation features of PM solutions to handle redundant tasks with minimal manual intervention. More PM tools are in the cloud. SaaS models and subscription-based services have sprung up as more software solutions are being hosted on the cloud and web-based platforms. Prices have gone down to affordable levels and the tools themselves have become more flexible and powerful. It also eliminated the need for complicated installations, set up, maintenance and updates. 12. What Are Examples of Project Management Software Solutions? Wrike is an award-winning cloud-based project management and collaboration software that boasts of providing flexibility, speed, and efficiency of work for teams in any business and industry. It allows multi-functional groups, whether co-located or distributed, to collaborate with each other and with stakeholders from one hub and with centralized communication. The software brings tools and solutions that enable you to simplify planning, streamline workflow, gain visibility over your team’s activities, schedule and prioritize tasks, and keep track of both work and progress in real-time, all from your dashboard. You can easily check out the features for yourself when you sign up for a Wrike free trial here. Getting things done effectively through user-friendly navigation and intuitive features are hallmarks of the Wrike system. It lets you manage and control everything from one screen – from monitoring work progress, communicating with your team, organizing files and documents to tracking tasks, setting timelines, and generating metrics and visual reports. You get ease and convenience in managing projects through powerful integrations with leading business and productivity apps, smooth data migration, secure online database, and mobile apps for working and keeping in touch with your project team anytime and anywhere. Its robust capabilities and enterprise-grade features have it the project management software of choice not only of SMBs (it has a free version for small teams) but also of Fortune 500 companies. Monday.com is a collaboration software that was previously known as dapulse. It is designed to help you manage your workload and simplify the way your team works. It gives you a single dashboard where you can track everything your team is working on, who is doing what, and where things stand. It syncs all information in one accessible hub and shows progress data so that you and all team members can keep track of tasks and common activities. You can easily add tasks, projects, missions, and to-dos; assign members to specific tasks or projects; and get status updates. You also get to visualize everything your team is working on, allowing you to manage time and plan ahead. Its advanced scheduling feature ensures that you meet all deadlines and deliverables. You can test the software for yourself when you sign up for a Monday.com free trial here. The software enables you to communicate with your team in context. You can quickly add rows to your board – called pulses – to keep all communication in one place, reducing the need for long-winded emails and meetings. It allows you to tag individuals, mention people or entire teams, drag and drop files to centralize all your documents, and comment on or give approbation to your teammates’ work. Furthermore, Monday.com comes with email notifications and updates, visual progress display, auto-generated and searchable knowledge base, main execution board, personal and public boards, live comments, and more. Overall, the platform gives you a unique combination of project and activity management with collaboration features to help you deliver on time. Smartsheet is a web-based enterprise collaboration solution that brings an array of tools to help you manage projects, teams, crowdsourcing, sales pipeline, and many other such activities. It effectively gives you a combination of a spreadsheet with visual timelines, automated workflows, and collaborative files sharing and discussions. You can use these capabilities for tracking finances, schedule, and inventories as well as manage different types of processes for programs, projects, and core business operations. Designed to give you greater work agility and deeper collaboration, Smartsheet provides key functions for planning, tracking, automating and reporting which are essential elements for high-value work processes in an organization. Get yourself up to speed with the software when you sign up for a Smartsheet free trial here. With a comprehensive set of features such as dashboards, cards, portals, calendars, forms, connectors, and control center alongside integration and automation capabilities, you are well equipped when it comes to simplifying budget, tracking marketing campaigns, planning events, managing facilities, and enhancing customer support. Because of its wide array of tools that can be specialized for various industries, it is ideal for use by teams engaged in project management, IT, marketing, sales, HR, software development, manufacturing, retail, construction, education, and professional services. Smartsheet lets you empower your teams to execute and complete projects and tasks with speed, efficiency, and accountability. Project Manager is a highly-rated and widely-used PM solution noted for its robust collaboration, scheduling, and planning features. Relied upon by over 10,000 teams worldwide including those from the UN and NASA, the software is equipped with tools to help you handle just about any kind of project – from simple to mission-critical ones. Among its array of features are real-time dashboards, multiple views that update automatically, task lists, auto-filled timesheets, status reports, resource management, portfolio management, and business intelligence. It is also able to integrate more than 400 external apps and services into the system. You can test drive the software when you sign up for a Project Manager free trial here. Project Manager stands out when it comes to collaboration and communication. You get at-a-glance dashboards to keep track of project and team progress. Being cloud-hosted platform, you and your team can share project data as well as work together on tasks anytime from whatever location. You can create discussion groups and add members to chat by mobile or online. Its Android and iOS apps enable you and your team to collaborate and manage tasks from anywhere. You’ll also be able to start off your projects immediately using pre-built project templates, and put all your files in online storage with access permissions. MeisterTask is an online task and project management platform designed to give you full control over all details and tasks involving your projects. It provides you with an agile and smart way of monitoring and tracking project progress and team performance to enhance productivity, boost efficiency, and accelerate projects from idea, completion, and delivery. It offers capabilities to manage projects through Kanban-style dashboards, in-depth reporting, wide integration, and robust automation. It can work and connect with several third-party software and services to give you a flexible and extended platform. It also has mobile apps for work from anywhere capability. You can take the software for a spin simply when you sign up for a MeisterTask free trial here. MeisterTask comes with simple and easy-to-use tools for collaboration, task management, and project management. Its drag-and-drop functionality allows you to visually plan and create projects, and assign and schedule tasks. With customizable project boards, you get full visibility over your team members’ performance, task assignments, deadlines, pending tasks, daily summary reports, and project status. Likewise, you get a central hub for team communication, file sharing, and work collaboration. In addition, the software integrates with its sibling MindMeister, a robust mind mapping solution that enables you to work with others and visualize projects in real time. Asana is one of the most widely-used project management solutions because of its capability and performance which can be summarized this way – it helps you move your work forward and get results. It does this by letting you track projects from start to finish by facilitating team communication and collaboration. With just one integrated tool, you can get real-time status updates, run reports, set schedules, prioritize activities, map and share goals, and maintain feedback and communication with your team, clients, and suppliers, all from one place. You can use the cloud platform to create projects and tasks within the projects as well as follow the progress of those tasks from any browser and devices. It lets you add team members to the projects and tasks, share files, and keep connected with them. Asana keeps you and your team members on the loop with its built-in communication tools. An activity feed allows you to share notes, receive notifications in your inbox, comment and check updates, and mention concerned individuals in the task comments. You can share notes, upload files, organize tasks and streamline workflows for more efficient and accelerated project delivery, having everyone on the same page. Other features of the software include custom calendar and views, multiple workspaces, priorities and due dates, project permissions, project sections, search views, task lists, and support for mobile devices. Clarizen is an enterprise-grade cloud solution that blends project management tools with social collaboration feature to give you one powerful platform to manage teams and execute ideas. The single software solution lets you connect tasks, projects, and conversations. Simply put, it enables “3-D” conversations where discussion posts on your project news feed are linked directly to work execution items and specific tasks, action items, approvals, progress reports, expense sheets and more. This gives you a more streamlined way of managing your team members’ work, initiatives, and projects. However, this is only one aspect Clarizen since it has all the tools you need for task management, collaborative planning, issue tracking, project scheduling, time and budget tracking, document and file sharing, risk management, and more. A unique process that Clarizen extends is its accurate methodology that allows you to jumpstart a project even before completing the project plan and to switch back to particular portions on the draft versions so that you could re-plan them. The flexible baseline on project/task can respond to real-time anomalies giving your project continuity and mitigating disruptions. Aside from easier collaboration and task management, the solution also offers tools for advanced project planning, automatic integration and updates, monitoring of time submissions, graphs and charts for reporting, custom fields, workforce management, top-level security, mobile support, and many others. JIRA is a by-word when it comes to project management and is highly popular among many companies, especially since it’s a product of Atlassian, a well-known provider of technology solutions. JIRA is one of the leading collaboration and project management tools used by agile teams for software development and is intended to help them capture, assign, and set priorities for their work and processes. It ensures that the whole process of application development – from concept to launch – is fully covered and well managed. It allows your team to plan, track, and release effective software. You can create user stories and issues, plan sprints, assign tasks, and prioritize activities with full context and visibility. On top of those, the solution offers real-time, visual data reports to drive team performance. From planning, tracking, releasing, and reporting to choosing a workflow or making your own, JIRA ensures that you have the right tools for the job with its powerful features and functionalities. It can be used for internal and external project management, agile tracking, software development, change management, configuration setting, bug tracking, and more. It comes with a rich toolkit for developers, dozens of out-of-the-box templates, flexible deployment options, dozens of integration, and mobile apps. The scalable platform provides accurate estimations, transparent execution, and actionable results to let you unlock the power and potentials of agile in your software projects. Trello is one of the leading project management and collaboration apps designed to help you get more work done fast. While the concept of boards has been done before, Trello has standardized its use to make project management fun, dynamic, and flexible. With the system, boards correspond to projects and within those boards are cards which represent tasks. The cards contain lists which can be used to track the progress of a project or to simply categorize things. Cards and lists move along as the project and related activities move forward, giving you a visualized timeline of how things are pacing. The lists can be customized and cards commented on, while collaboration takes place in real-time. It allows members to instantly discuss a project or task and keeps everybody informed through task assignments, activity log, and email notifications. Giving you information at a glance, you are kept aware of details and you can dive into them by directly adding attachments and comments into the cards, letting you collaborate on projects from start to finish. You can work with any team, keep everything organized, and integrate apps your team is already using right into your workflow. You get to be always in the loop with your team and tasks since Trello stays in sync across all devices. Using the software is further facilitated with drag-and-drop functionality, in-line editing, easy tagging and labeling, and archiving of card records. All your data are encrypted and sent over a secure SSL/HTTPS connection, while all information is backed-up and can easily be retrieved. Taskworld is a cloud-hosted visual task management and planning solution built to meet the needs of both small and large teams. It offers a variety of sophisticated tools such as burnup and burndown charts, project analytics, interactive dashboards, and advanced filters, among others, to ensure that there are no delays, missed deadlines, ignored clients, or email clutter to set you back from delivering your projects on time. The software is meant to help you create, organize, and assign tasks in due time, plan quality projects, and monitor each step of your teams’ progress. Taskworld brings with it a drag-and-drop feature, pre-made templates, and user-friendly text editor that allow you to visualize and configure workflows according to your needs. Taskworld uses lists and boards to manage workflows and preferences, letting you add, assign, and edit tasks as well as schedule and view assigned team members while having all dates, notes, comments, and follow-ups on the same dashboard. The collaboration feature allows you to chat with teammates, share files, redirect messages to email addresses and receive important notifications and updates. You can schedule recurring tasks and setpoint values on task difficulty to help you understand how assignments are connected and performed. You also get advanced overviews and filters to let you keep an eye on tasks and projects, status, dates, and assigned persons. All information is stored in a centralized database that you can access anytime. 13. Is Project Management Software for You? By this time, after presenting to you all of the above information, there should be no doubt on the necessity of having a PM solution to help you with your projects. Studies have shown that more than half of all projects fail because of poor communication, and that over a third of projects fail due to lack of clearly defined goals and milestones. You do not want to be part of the many statistics on project failures. Project management software has you covered on several areas – it has capabilities to ensure that you and your team are always connected and on the loop through chat, email, messaging, activity streams, reminders, and other communication tools. It lets you set objectives, assign time-bound tasks, and schedule activities and due dates in order for projects to smoothly move forward. It offers a collaborative platform for team members to discuss and work together in real time wherever they may be located around the world. With most PM software hosted on the cloud, you’ll find the most flexible, scalable, and accessible solutions that you can carry in your pocket through your mobile devices. Affordability has become a non-issue since many of the top PM software like those we’ve featured are priced at budget-friendly single or double-digit subscription rates per month. These and more make project management software a must. Is it for you? Definitely! You can head over to our list of leading project management solutions to learn more about this type of products. Better yet, test drive Wrike, our top pick under project management software category. You can easily sign up for a Wrike free trial here.